Karavika(formerly Tiger Lilies) is a New York City based ensemble led by violinist Trina Basu and cellist Amali Premawardhana. 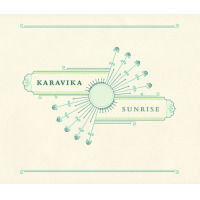 As its members hold roots in places as diverse as India, Sri Lanka and North America, Karavika brings a fresh new perspective to the music of its varying cultural backgrounds. 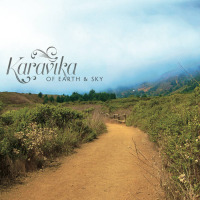 Drawing upon influences of nature, beauty, simple folk melodies and complex classical compositions, Karavika's music seeks to blend creative improvisations and arrangements with authentic traditions. They are joined by bassist Perry Wortman and Avi Shah on tabla.
. Recently, Karavika was showcased live on IndiaTalks TV, a cultural Indian television program in New York City, as well as the world-wide social networking event, TEDx Gotham, at which they were broadcast live on the web from the Cooper Union in New York. Members of Karavika also perform regularly in the South Indian percussion ensemble, Akshara which was featured live in the 2010 Learnquest Indian Music Conference in Massachusetts. Karavika has presented performance demonstrations and workshops at such venues as the Brooklyn Children's Museum. Members of the ensemble teach private and group classes throughout the NY/NJ tri-state area. Karavika clinics explore the concept of Indian raga (melodic element) and tala (rhythmic element). Discuss the process of breaking down old classic and folk songs and revamping them in a chamber/jazz setting. Improvising within a raga/tala system. All About Jazz musician pages are maintained by musicians, publicists and trusted members like you. Interested? Tell us why you would like to improve the Karavika musician page.